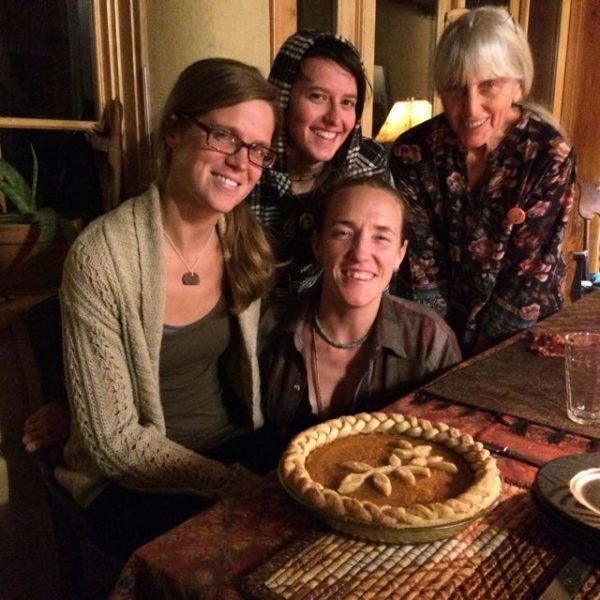 My sweetie, Deanna and I have been working on creating a home for ourselves at the Port Townsend EcoVillage for several years now. We decided to make it a straw/clay house for a number of reasons, among them good insulation both for heat and sound, resistance to water damage, foot thick walls that can be rounded at the windows and finished with the beauty of earthen plasters and milk paint. Perhaps the greatest reason though was that such building requires lots of people to join in the building process, kind of like what you read or hear about folks did in olden times, when house and barn raising happened with a whole community pitching in to help. This co-creation process has been happening from the get-go, with so many folks coming to join in for work parties or even extended stays to help out with all the finishing details. Everywhere we look, we see the beauty and feel the glow of friendship and love woven into all the stories of those times together: the songs and poetry shared, the grieving and laughter in the natural flow of life together. This song jumped into being during one such moment of reverie. Busy yourself making beauty. Busy yourself making love. Busy yourself making friendship, and everything else will work out.